Shea butter is one of my absolute favorite ingredients. As a New Mexico native with dry skin, shea butter offers me a lot of moisturizing, nourishing goodness. 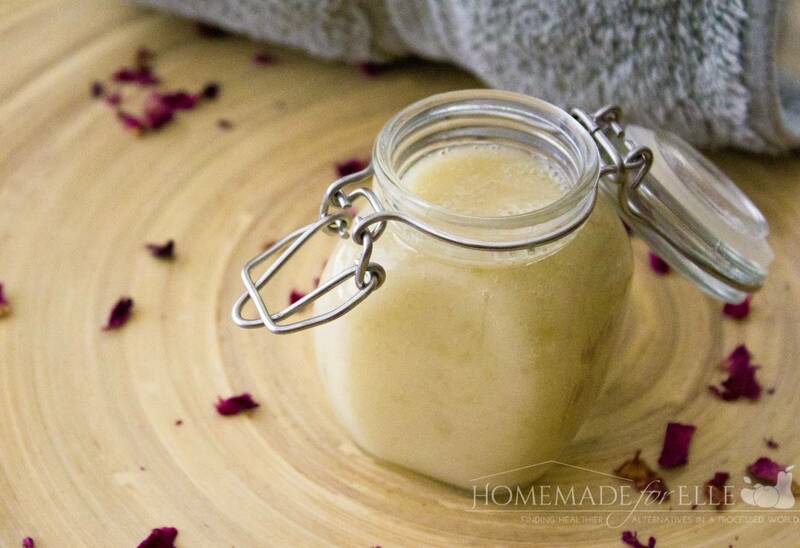 Since I started making my own homemade beauty recipes, shea butter has been a staple product in my home. I have made homemade lip gloss, homemade lotion bars, and even a decadent shea body butter that has revolutionized the way I treat my body. Recently, I even whipped up a shea butter body scrub that was so soothing to my skin, it got me wondering if I could create a shea butter body wash! I found a great recipe from Whole New Mom for a Homemade Citrus Body Wash, and changed it up a bit. Her recipe looks fantastic, so definitely check it out! Here is my adapted version, with a little more shea butter for people with extra dry skin. Fill a small pot with 2″ of water, and bring to a boil. Add shea butter into a mason jar and place in the pot of water. Allow shea butter to melt, then add in aloe vera gel and jojoba oil, and mix. Remove from heat and add in xanthan gum, castile soap and essential oils. Mix together until fully incorporated. Pour into a glass mason jar with a pump (here is a great one), or other container. Use as you would any other body wash (i.e. avoid contact with eyes and for external use only). This shea butter body wash does a great job cleansing the skin, without stripping the skin’s natural oils. It provides deep moisture and the added essential oils allows you to create any scent that you desire. My personal favorites are lavender, orange, peppermint, and roman chamomile. Fill a small pot with 2″ of water, and bring to a boil. Add shea butter into a mason jar and place the jar in the pot of water. Allow shea butter to melt, then add in aloe vera gel and jojoba oil, and mix. Remove from heat and add in xanthan gum, castile soap and essential oils. Mix together until fully incorporated. Pour into a glass mason jar, or other container with a lid. Use as you would any other body wash (i.e. avoid contact with eyes and for external use only). Do you love shea butter as much as I do? 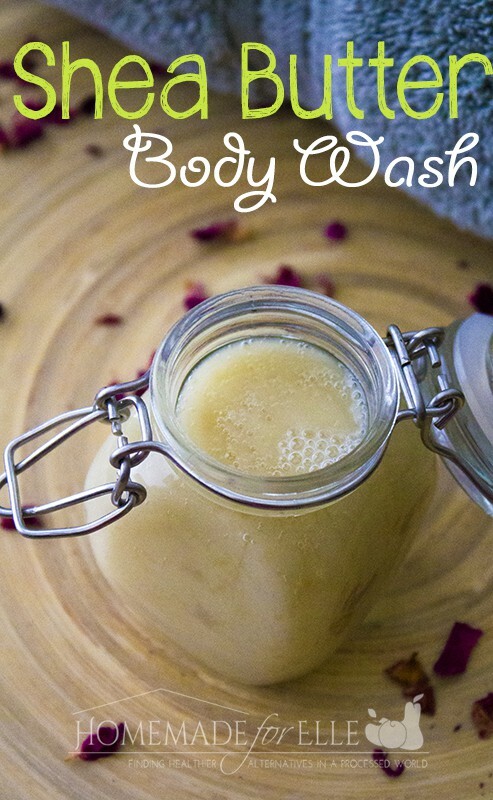 Are you tempted to try making your own shea butter body wash? It depends on the size of your pot 🙂 If you’re using a medium-sized pot, you should be safe with about 4 cups of water should do it! Definitely trying this. I have extra dry skin especially on winter. Thank you Elle! Hi, I am thinking of making this and I have everything except the xanthan gum. Could I use cornstarch or cream of tartar instead? I know both of these are thickeners, I just don’t know if they’ d be suitable for a body wash.
Hi Olivia – yes I think that would work, but I haven’t actually tried it. If you try it, let me know how it goes! Hi! If I was to leave out the aloe vera would i have to add something else in to make the same consistency? Or what do you think I could substitute for it? vegetable glycerin, will work in place of the aloe. Wondering what I could sub the jojoba oil with I have everything else but that! 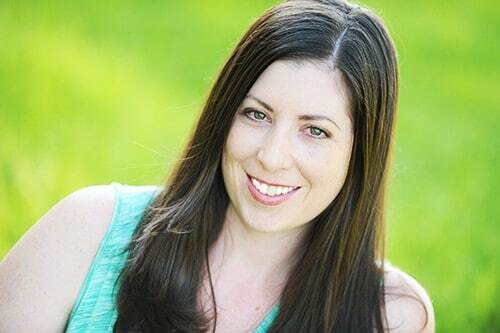 Hi Kristi – yes, you can substitute jojoba oil with almond oil, olive oil, apricot kernal oil, or argan oil. hi can you sub it with coconut oil? I don’t think coconut oil would be a great substitution for shea butter in this recipe. It’s consistency would be fairly thin… but I guess it doesn’t hurt to try. If you do end up trying it, please let me know how it goes! I buy it on Amazon (http://amzn.to/1EvLtND), but if you live near a whole foods, you should be able to find it there. Could you use guar gum instead of xanthan? One of your readers said she added vegetable glycerin. I was wondering if you tried it with this ingredient. If so, what quantity should we put in the mix? 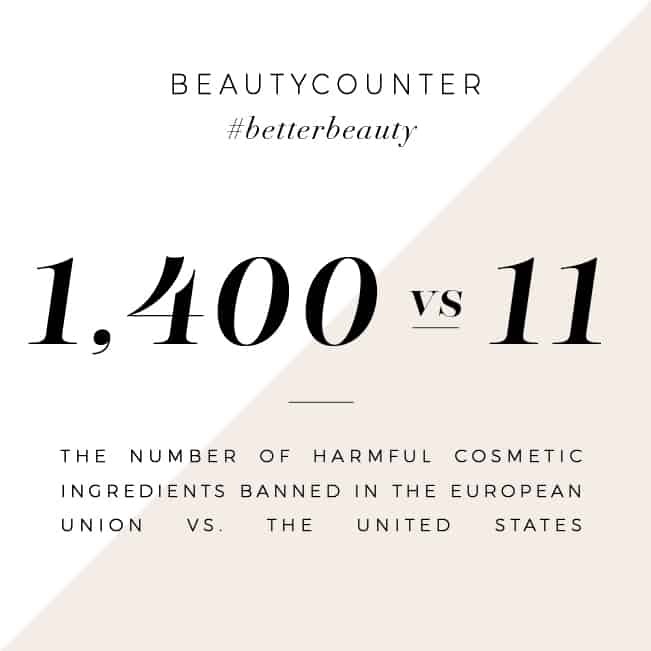 Also, are there other ingredients that will help the body wash lather more? I have not tried a batch with vegetable glycerin, but I want to! I have used vegetable glycerin in some other recipes to give a sudsy and thicker texture, so I imagine it would be a welcome addition to this recipe. I am going to try it soon, but I am thinking of adding 2 tsp of vegetable glycerin to this ratio. If you try it, please let me know how it goes! Hi did you end up trying this with 2 tsp vegetable glycerin? if so did it make it more sudsy? Does the Shea butter thicken back up to a solid consistency once cooled? It does thicken as it stands, but no, it doesn’t become solid. It’s consistency is between a lotion and a body wash. Does the xanthan gum act as a binding agent? Curious to see if I can leave that out. The xanthan gum acts as a thickening agent. You can also use guar gum, if you have it on hand. Certainly give it a go, and see how its consistency is without it… it will just be runnier than the original recipe. Thank you for this recipe. What’s the shelf life on it? I have kept this up to 3 months and it was still good (although I suspect it could last up to 6 months or longer). I love this body wash! I was looking for something I could make at a lower cost than my $12 per bottle body wash. This is definitely it! Thank you! Only thing is there was no lather. I added some vegetable glycerin and that did the trick. So glad you liked i Christina – and thanks for sharing your feedback. I will try glycerin on my next batch! how much vegetable glycerin did you add? I love your recipe. I wonder, Ä±f we do this with soap bar, first we melt soap with water, then add shea, add melt. Finally other oils, am I right. I honestly haven’t tried any soap recipe with bar soap, so I am not certain. I’ll have to give it a try on my next batch and see how it goes. If you try it first, be sure to report in the results! But yes, add the other oils after the soap and shea are melted.